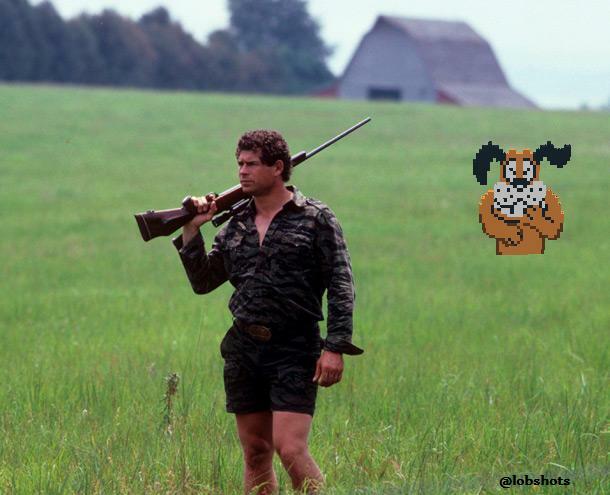 That’s John Riggins in 1983, gettin’ his hunt on. Andy Gray tweeted the actual photo, but all my mind’s eye saw was that freaking Nintendo dog. This entry was posted in Football and tagged duck hunt, john riggins. Bookmark the permalink.